A man who is interested in what makes people tick doesn’t write history. He writes novels .. . A man who understands about people hasn’t any yen to write history. Josephine Tey wrote The Daughter of Time in 1951 as a ferocious critique of historians and their methods wrapped up in a ripping good mystery novel. I am astounded I only recently discovered her work. Those of us who revel in both history and fiction are well advised to study her art. In the book, Tey’s hero, Alan Grant is a policeman who has been laid up by an injury and confined to his bed. A chance view of a portrait of Richard III piques his interest. Richard III is Shakespeare’s hunchbacked villain who murdered his two nephews and sealed their bodies in the Tower of London to be discovered two hundred years later. Everybody knows that, right? The policeman in him asks, “Did he?” With the help of a young assistant he begins to assemble the evidence, primary sources for the facts of the case, the witnesses, the motives and the opportunity. As it turns out there are no witnesses. The primary accounts come from Shakespeare via Thomas More who got it from Cardinal Morton. The problem is the cardinal wrote long after Richard died, owed Richard ill will, and was at pains to curry favor with Henry VII. Odd that. There are however many contemporary letters, chronicles and documents. Alan and his assistant eliminate the impossible and question the unlikely. They ask, “Who stood to gain?” Piece by piece, using modern police procedures, Alan builds the case for Richard’s innocence and Henry’s likely guilt. Late in the book his assistant makes another discovery: their findings are not unique. This allows the novelist to give some credit. A man named Buck wrote a vindication in the seventeenth century. And Horace Walpole in the eighteenth. And someone called Markham in the nineteenth. If that is so, why do people persist in believing Richard murdered his nephews? In my experience, people like a good story and will cling to it. My own relatives are much less interested in my careful research into our distant ancestor Antoine Brulé who migrated to Canada in the 1660s than in some mythical descent from the explorer Etienne Brulé who came sixty years earlier. I can document Antoine but Etienne provides a more exciting story. Tey’s answer? Debunking a closely held myth makes people uncomfortable. “So they reject it and refuse to think about it.” Without a doubt the story of the poor princes in the tower will persist in spite of Alan Grant or Horace Walpole. It is too delicious a story to reject. As for me, however, I’m converted. Tey’s excellent story telling convinced me far more thoroughly than any historian could have. I believe I am a Ricardian. Where do you find truth? History or fiction? Which do you prefer, fact or a good story? ← July 4th, 1776 or September 3, 1783? Wonderful post! I, too, cannot believe I’ve never read Tey’s novel, being the Anglophile that I am. I must say that I come down on the side of accurate historical methodology as my guide to sorting fact from fiction. Primary sources are the bedrock of the method and often require great effort and expense to gain access to them. That’s why I write historical fiction. 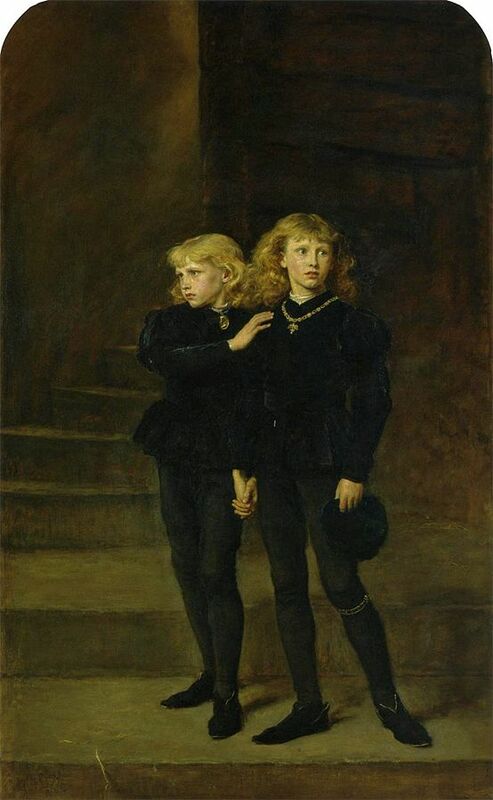 As to Richard III, we will probably never know what really happened to Edward V and his brother, Richard, Duke of York. The dean and chapter of Westminster Abbey, where bones said to be those of the princess sit in an urn designed by Sir Christopher Wren, refuse to allow DNA testing. The Queen supports the Abbey in this. The bones were discovered during 17th century excavations at the Tower and are said to be those of boys aged 10 and 12. The questions of who stood to gain most by the boys’ deaths and who had greatest access to the boys both point to their uncle Richard, appointed Lord Protector upon the death of his brother, Edward IV. Having the boys declared illegitimate and becoming king thereafter also do not do much in support of Richard III’s innocence. Once the boys were placed in the Tower by their uncle, it is said that they were never seen alive again. It is understandable that Richard III is seen as the villain. And unless Richard was a weakling being manipulated by some unknown person or persons and for a purpose that has yet to come to light, why else would these things have happened? 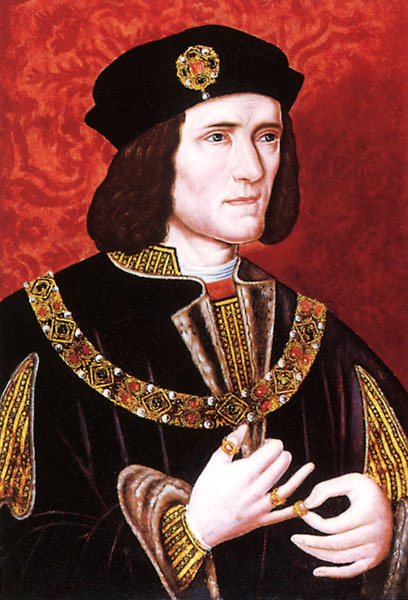 Henry VII, the first Tudor king and victor over Richard III at Bosworth, had good reason to paint Richard III as an evil doer and murderer. After the battle, Henry married Elizabeth of York, sister to the princes and daughter of Edward IV, and his claim to the throne became stronger. What does all this tell us? Being in line for the throne and/or having royal pretensions was a historically dangerous business. The lust for power led men to commit some awful acts. 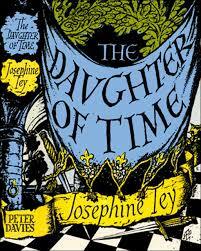 I am going to order Tey’s The Daughter of Time to see what her conclusions are. I’m sure it will make for very interesting reading. Thank you for sharing this with us, Caroline! You think so? Read Tey’s book. She makes the case for Henry. Because she is a gifted story teller, it is easy to be persuaded. Hmmm. A fascinating mystery, indeed. Thanks for the post! The Daughter of Time is indeed a wonderful book. So are all her other mysteries, but I think the vindication of Richard III is what has stuck with me the most. Doesn’t it just? I love that she addresses the undying attraction of the story with her characters. Your post has so intrigued me, that I’m definitely going to read Tey’s book. Thank you for the wonderful post. I’m delighted you enjoyed it. Do read the book. I plan to read more of hers. I’m going to climb on board, too and read Tey’s book. I’ve got a story from my family tree that had been passed down as fact for hundreds of years, but turned out to be false. But, it’s such a good story, I may write it anyway, the way I think it should have ended. Yep. You just can’t keep a good story down. Love this mystery. Have read several books about it, need to check for Tey’s. Also, read the non-fiction book about the archeological dig that found Richard III’s remains. That was fascinating, too. My take on the mystery is even if Buckingham did it, I still feel like Richard III, on some level, had to know about his nephews’ murder. It’s difficult to believe, when kings were so powerful, that he didn’t at least know, even if he didn’t directly order it. And he certainly covered it up after it happened. But hard to believe that Elizabeth, the boys’ sister, wanted to marry him, her uncle. That part has me stumped if she thought he was her brothers’ murderer. It is a tangled web, indeed. It is indeed tangled. Tey raises a number of issues that wouldn’t have thought about. Josephine Tey’s marvelous book on the mystery of the boys in the tower was the first novel of hers that I read. She had me absolutely convinced that Richard didn’t do it. I went on to read all her marvelous mysteries. So sad there are not more of them. You made me laugh. I’ve learned more history learning novels than anywhere else. Before everyone panics, what I mean is that from early childhood what I read in novels has sent me running to history books and encyclopedias (remember encyclopedias?) to find out what really happened. That has lasted my entire lifetime. Add on to that a yen to travel, a love of museums and a degree in—what else?—history, and motivation from those novels has given me a wealth of information. What a fascinating story! I’ve just added this book to my pile of “to be read” things. I have always been a history buff, as well as a literature buff. Thanks for sharing the story!